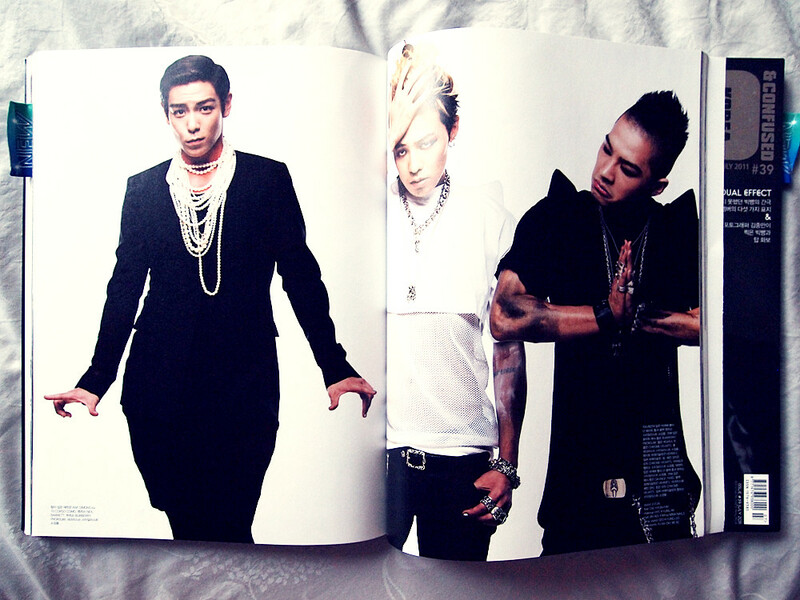 Few months ago, around the end of May I think, I was freaking out when I found out that BIGBANG is going to be on the cover of DAZED&CONFUSED Korea July 2011. And later I found out again, that each of them are going to have their own cover and the quantity of the magazine that are going to be printed is limited. 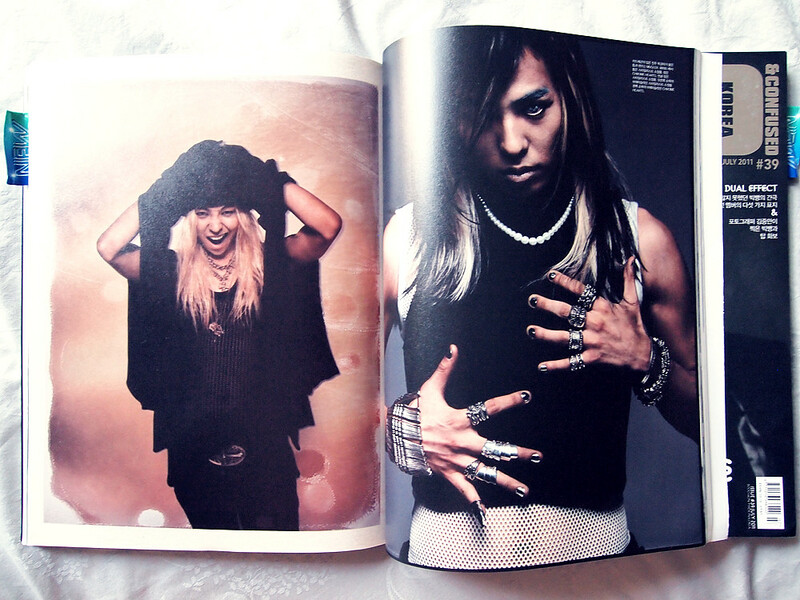 My heart crushed when I read it, because how the hell am I supposed to buy a Korean magazine that is freaking limited? 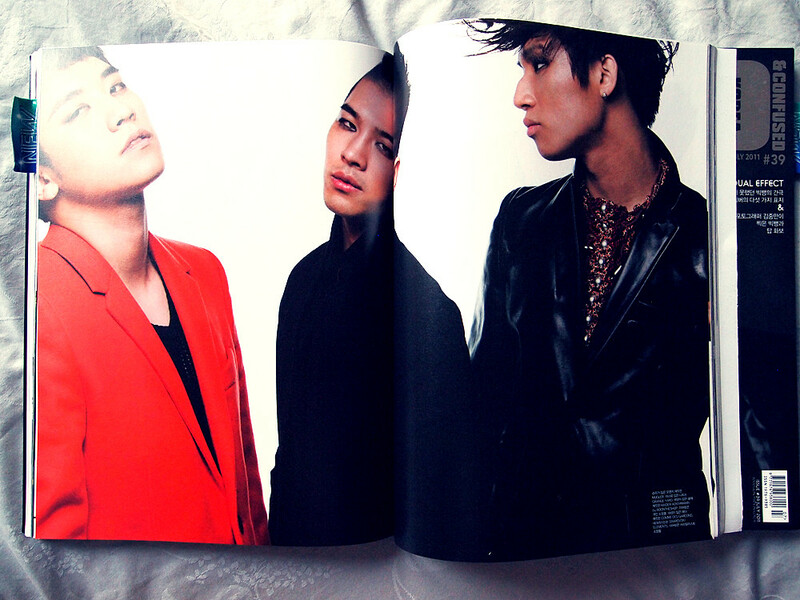 My heart crushed even more when I saw their pictorials, which were amazeballs and only 100 magazines per cover! Aigoo..
Well, after days of searching, I finally found someone on tumblr that were going to order, and then she gave me the contact person. 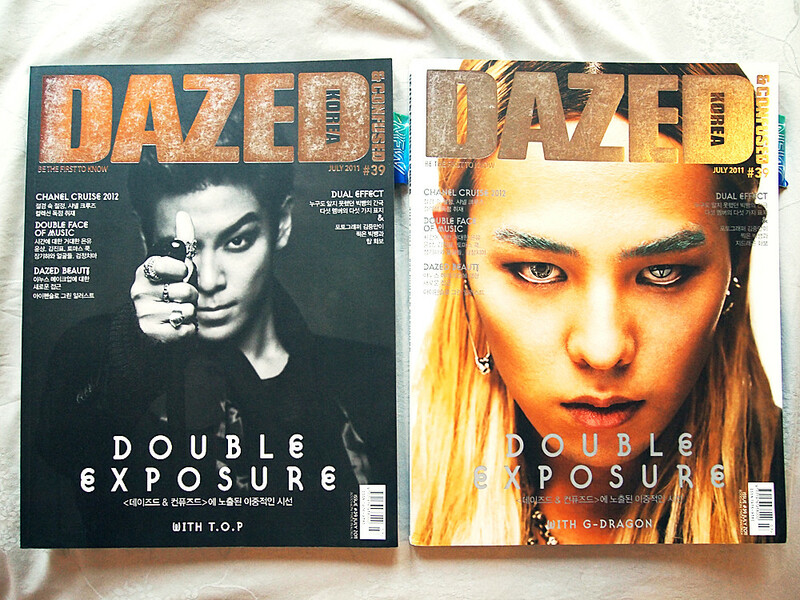 So impulsively I ordered two magazines, G-Dragon and T.O.P versions. How am I supposed to choose between them? Anyways, I supposed to receive the magazine around July but unfortunately my friend that helped me to get the magazine (the seller is at Singapore, and she doesn't do overseas shipments, so I asked my friend to buy it for me- lots of effort. I know) is going back home to Jakarta, well few months later, just 2 weeks ago I went to Singapore, and I finally get my hands on the magazines (I met the seller and got the magazine by myself)! Ah... I'm so happy because thank God, each magazines with different covers has different pictorials. 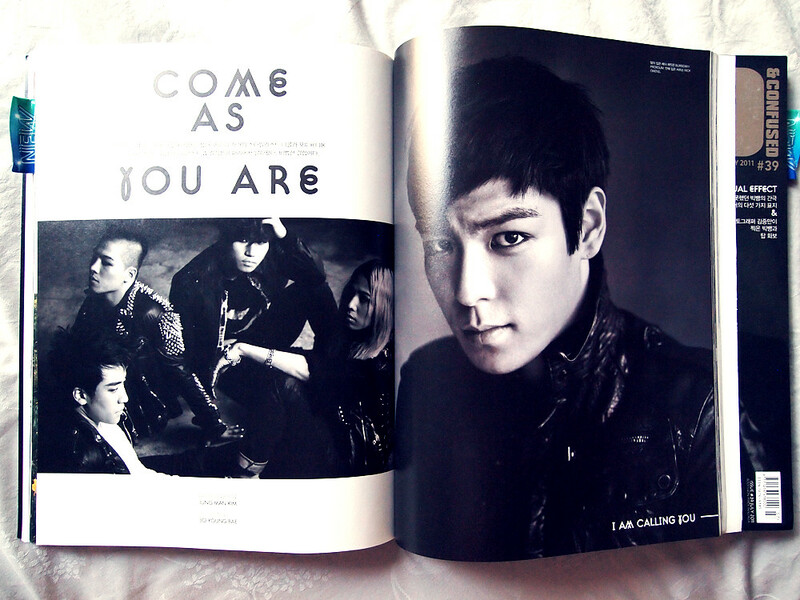 Like, if you buy TOP's version, you will get more pictorials of him, and visa versa to other four. On top of that, one of my favorite editorials that I saw on fashiongonerogue on May, was on that magazine! Talk about coincidence, so well, I do not regret buy the magazines (2 of them). Kekekeke here it is... enjoy! all pictures and gifs are taken and made by me. please use the appropriate credit. Before we move on to BIGBANG's pictorials, here is a gif that I make (so proud of my first photoshop gif, please link me back if you want to use this gif) that contains the editorial pictures that I like, it may loads quite slow just wait for a while, there are 4 pictures in total in this gif. 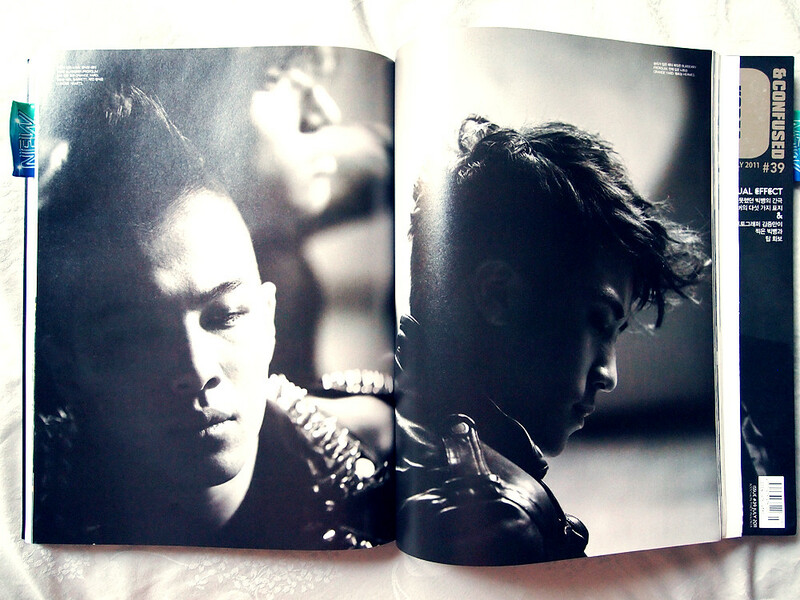 And here it is.. My favorite part of the magazine, BIGBANG editorials/pictorials. 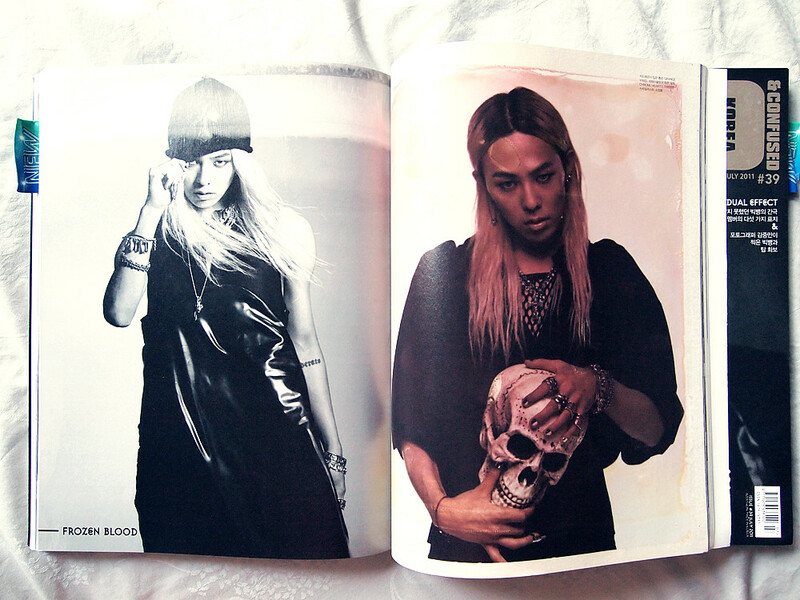 I love how fierce they are in these pictures, I also love the styling, I love GD's cover especially his contact lenses. I see they are wearing a lot of Chrome Hearts accessories, later in this post, I'm going to share behind the scene video. 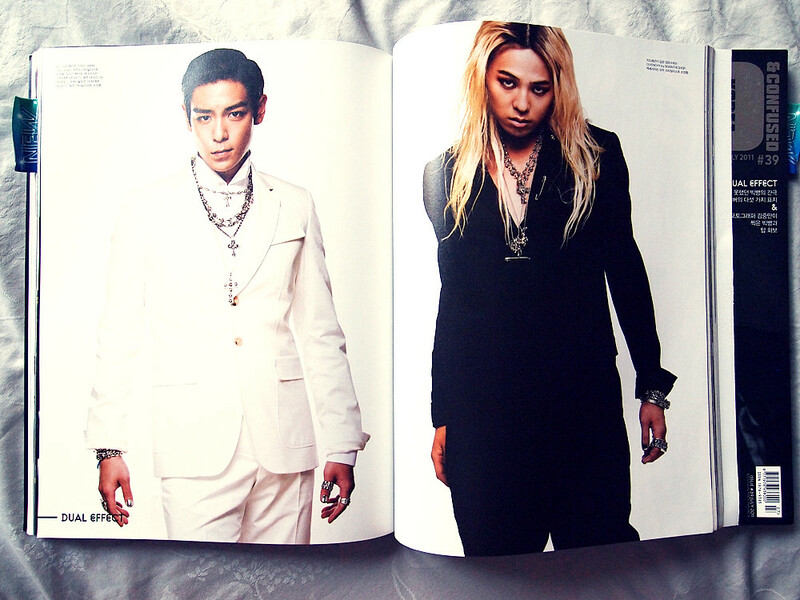 And don't you think GD's picture remind you of Legolas from Lord of The Ring? There's a picture of comparison of how they look like Legolas, Edward Cullen, Willy Wonka, and other character. I found it really funny but somehow true ;) Anyways, I think GD's long blonde hair is kinda greasy and disgusting, but I think he still can pull it off. 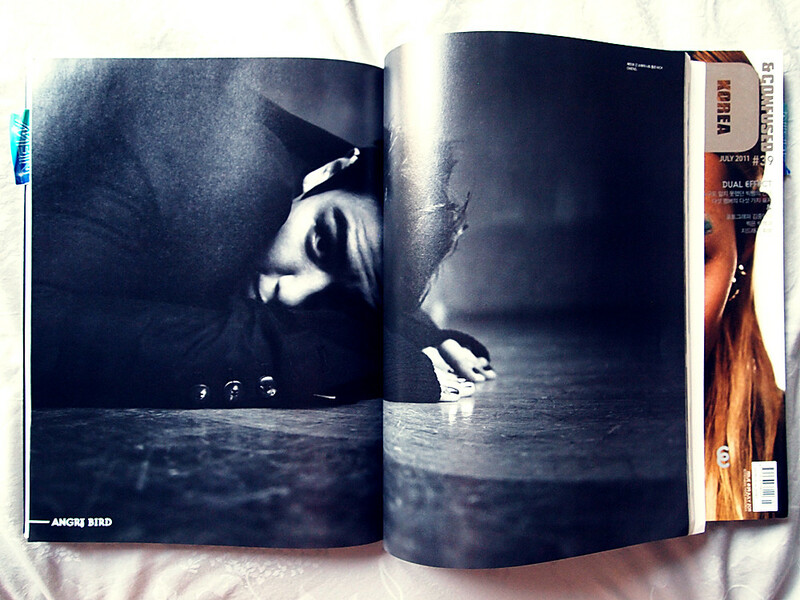 TOP looks very charming and cute as always. If you notice the details, they are wearing minx nail polish the silver one, I think it looks so cool and I'm going to buy one ;p Unfortunately because of eye infection TOP didn't join the other member for the photoshoot that's why there are no group picture :( But it's okay they delivered a great job, don't you think? 빅벵 사랑헤, 화이팅!! Love it! These magazines are so worth buying coz you know you'll get good stuff. GD's so freaking weird here though, but I guess that's his appeal. Great post! 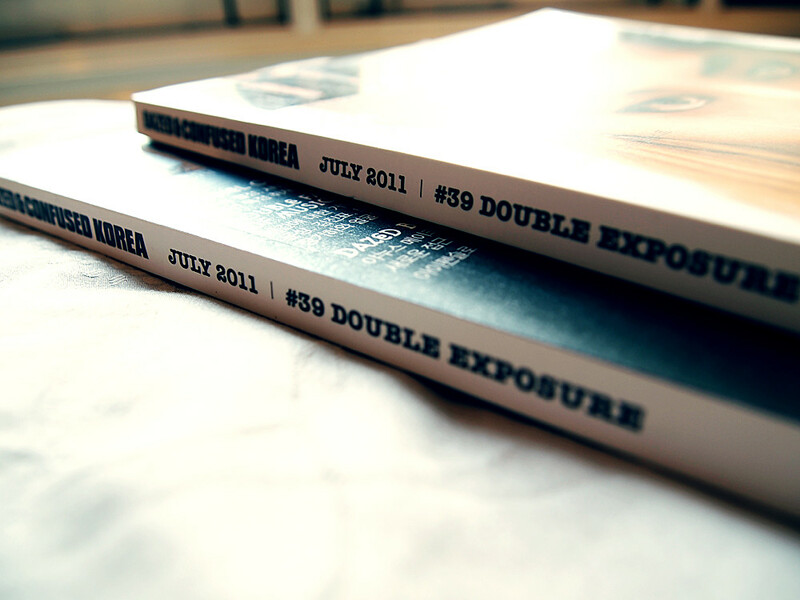 LOVE a great magazine with nice prints! love the gifs! not a fan of the boys but i love dazed n confused! It's a great post. It's very creative. -Super well-written entry! I enjoy reading your blog...A LOT! what can I say for this magazine... daebakkk!! 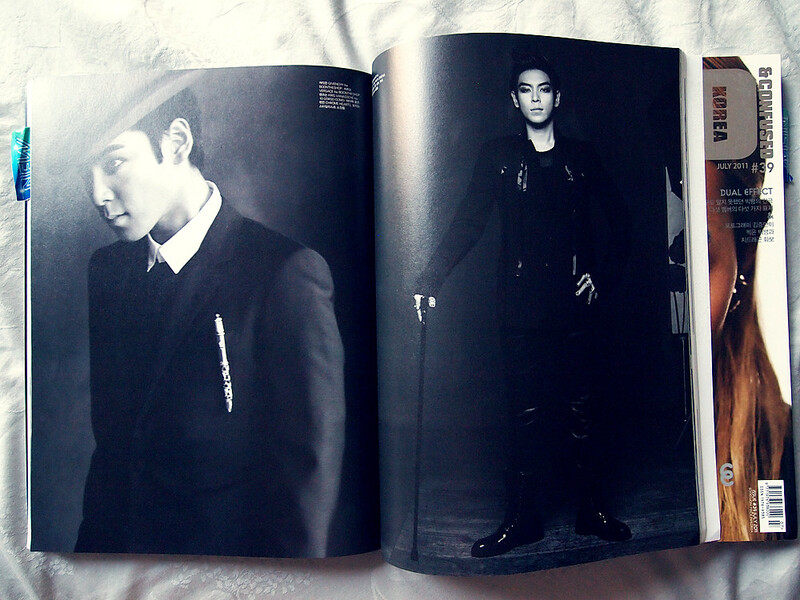 TOP oppa is such a hottie! lucky you have both version of this magazine! mereka juga keluarin cover 3 member lainnya kah? You do really love BIGBANG carol :) Nice effort !